Facilitating connections between First Australian senior school girls and First Australian and Australian women in health roles, to encourage healthy lifestyles and health career choices. Weenthunga is a First Australian led network of Victorians in the full range of health roles with a strong belief in the value and benefits of collaboration between First Australians and Australians. 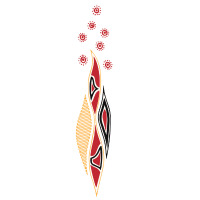 They believe that the Weenthunga Network has some yeast to add to the mix to the endeavours of the Australian and State governments, of mainstream and Community Controlled health services and many organisations committed to Closing the Gap in Indigenous health. Weenthunga got involved in TFN's 2013 pilot series and raised $16,450 to continue facilitating connections between First Australian senior school girls and First Australian and Australian women in health roles, to encourage healthy lifestyles and health career choices.